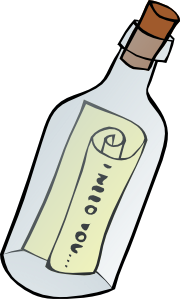 If you were to physically write or virtually write a message to place in a bottle what would you write? Do you live by the sea and are able to potentially throw into the Ocean? Or perhaps a river? 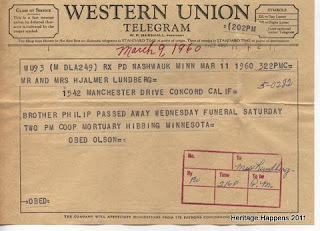 Or write a message to deceased loved one? A message in a bottle is mysterious to me in many ways. When I think of doing this myself, I think of literally adding a message and putting the bottle in the ocean. I do not live far from the ocean so this is something I could do. I would not set up a secret email for this, I would use one of the email accounts I already have established. I would like my message in a bottle to be found somewhere on the other side of the world, only because I would like to see how far it traveled. I think it would be great fun to hear from someone far away telling me they found my bottle. This person may not even be able to read English. Maybe they will have to find someone to translate the message for them. I don't think the message would really matter because whoever found the bottle wouldn't understand the message anyway, or why I wrote it. The bottle being found it the important thing, and then that person who found it, making contact with me. This note was written on January 8, 2014. It was placed in the Pacific Ocean by Cheryl Palmer. Her hope is that this bottle travels half way around the world to be found by someone who would try to make contact with her by email to let her know where the bottle eventually was found. Who knows, maybe I will be meeting a new found friend! Maybe across the world, or maybe across a cove.